It’s time for another round up of what’s happening on the Cornish food scene. This month sees some fabulously fresh produce making its way to our menus; look out for the first Cornish asparagus and strawberries, vibrant broad beans and peas, and early new potatoes. Now’s the time to eat crab and sardines, brill and scallops. As well as fantastic special events and news from restaurants across the county, there are more festivals in May than you can shake a stick at. Plus scroll down to find out how you could win pizza for life. 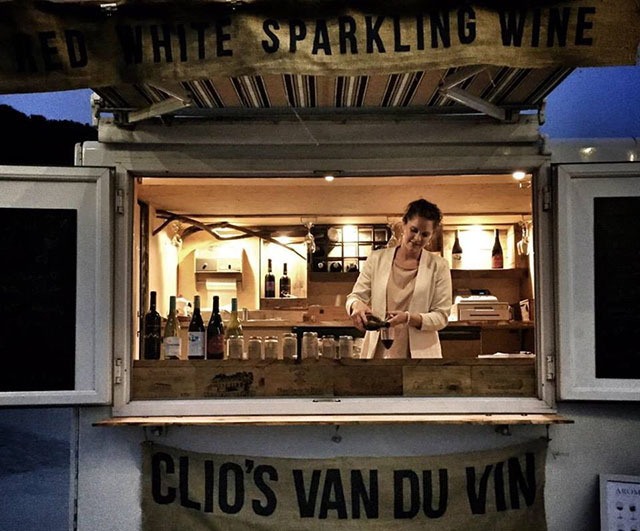 Book now for the ever-popular Van du Vin, which will be arriving on Carlyon Beach for intimate wine tasting evenings throughout the summer. The first event will take place on Saturday 4 June, and will focus on a selection of English wines to coincide with English Wine Week. At each tasting, local host and wine expert Clio Collar will lead small groups through the world of wine, comparing up to eight wines at each event. Tastings will cover different wines each time and will be priced at £20-£25 per person, with just a small number of tickets available for each date. Guests will be welcome to stay on the beach for dinner and a bonfire afterwards. Tickets are available from the Cornish Riviera Box Office. Wine tasting events will also be held on 10 June, 1 July, 29 July, 5 August, 20 August and 3 September. 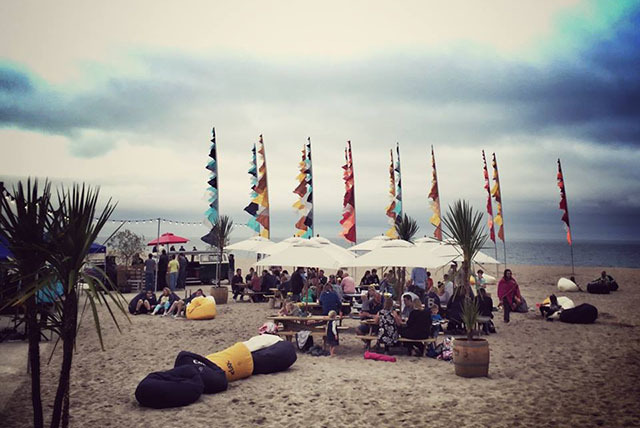 Carlyon Beach has announced the first part of its events programme for 2016, with the majority utilising the pop-up and events space on Crinnis Beach. Foodie highlights are the wine-tasting evenings (see above) and beach banquets (check out our review from one of last year’s banquets). Two pop-up restaurants will have permanent installations throughout the summer: Ostraca, serving up locally caught oysters alongside a range of other fish and shellfish treats, and Sam’s, widely known and loved for its amazing burgers and laid back atmosphere. They will be joined by other pop-up food and drink offerings throughout the season. Other events include the opening of the UK’s first beach-based frisbee golf course, performances from both Rogue Theatre and Miracle Theatre, and regular yoga and massage sessions. 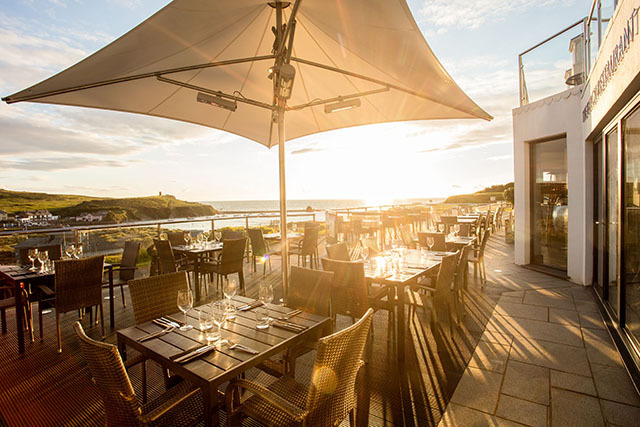 The Beach at Bude’s new spring menus are perfect for enjoying whilst watching the sun set from their gorgeous terrace. Head chef, Joe Simmonds, is turning out some delicious dishes, packed full of fresh flavours. I particularly like the sound of the ham hock and hare terrine (served with pickled baby carrots and curried yogurt on a warm pea, mint and broad bean salad) and the asparagus dish (poached and breaded asparagus with wild garlic mayonnaise, a fried duck egg, truffled wild garlic and shallot dressing, on toasted brioche). Or how about the pan roasted stone bass (with crab rosti potato, charred leeks, tomatoes, leek top purée, sea herbs, brown crab mayonnaise, pickled samphire and crab salad, with sauce vierge)? Visit their website for the full restaurant menu and bar menu, and for table reservations phone 01288 389800. Read our blog about our visit to The Beach at Bude. Artisan confectioner Buttermilk and Cornish spirits producer Southwestern Distillery have collaborated to produce two brand new fudge flavours: gin and pastis. The fudges have distinct flavours with juniper and orangey coriander notes from the gin fudge, and a sweet aniseed flavour from the pastis. 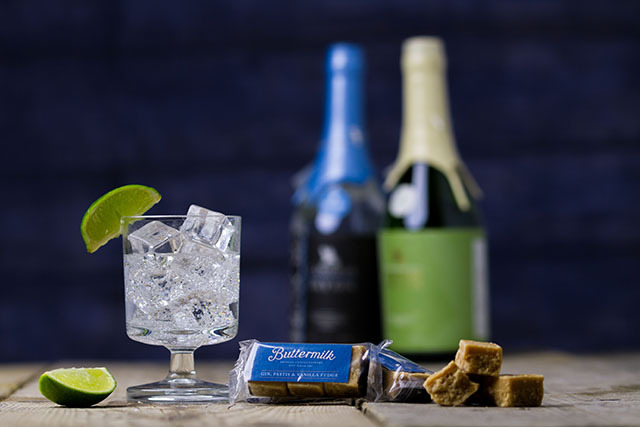 The limited edition treat packs of gin, pastis and vanilla fudge (pictured above) are available to buy from the Buttermilk website, priced at £1.99 each. If you’re a fan of all things pork then the arrival of Tom Adams (Pitt Cue Co.) and April Bloomfield (of The Spotted Pig in New York amongst others) in Cornwall will get your pulse racing. The talented duo are opening up a Cornish farmhouse and dining room at Coombeshead Farm, their working farm near Lewannick. Currently undergoing renovations, the farmhouse is due to open for dinner, bed and breakfast in late June. The farmhouse comprises six en-suite bedrooms, a living room, whisky room, library, cellar and ham room. Tom says, “All dinners will be served in the farmhouse dining room and open kitchen with the offering entirely based on what we are producing at the time and what we have sourced from our farmers, growers and producers in the surrounding area. Whilst it will be an ever changing menu it will certainly always be a feast of farmhouse proportions”. Breakfast will be served through the morning, with freshly baked breads, homemade yogurts, freshly milled oats and grains, preserves, butters, hams, bacons, cheeses and other such delights. All rooms are £160 per person, including dinner and breakfast. Exclusive booking of the farmhouse is available, and dinner is also available to non-residents. As if that wasn’t enough, Tom and April will be running workshops from August. Watch this space for more details. For more information visit their website and follow them on Instagram. This Daily Telegraph article has more details about their plans. The St Tudy Beer Festival takes place from 28 to 30 May at St Tudy Inn. The festival is being run in conjunction with Padstow Brewing Co., who recently produced the brand new St Tudy Ale, which apparently was the brewery’s fastest selling beer, ever. Padstow Brewing Co. currently has a range of ten beers, all of which will be available at the beer festival. For more information visit www.sttudyinn.com. WAX at Watergate (previously The Phoenix) is launching a locals’ card on 7 May. Promising 20% off food and rinks, plus music, promotions and prizes, keep an eye on their Facebook page for full details. WAX is open from breakfast through to midnight, and their menus are great, offering everything from waffles and smoothies to burgers and beer. Don’t Wake the Fish is an annual weekend of fun at The Gurnard’s Head. This year the event takes place from 27 to 29 May, and for up to date information visit their Facebook page. Expect two days and three nights of live music, fabulous food and drink, over fifty craft and real ales and ciders, and plenty of entertainment for children and adults alike. Buy tickets online. 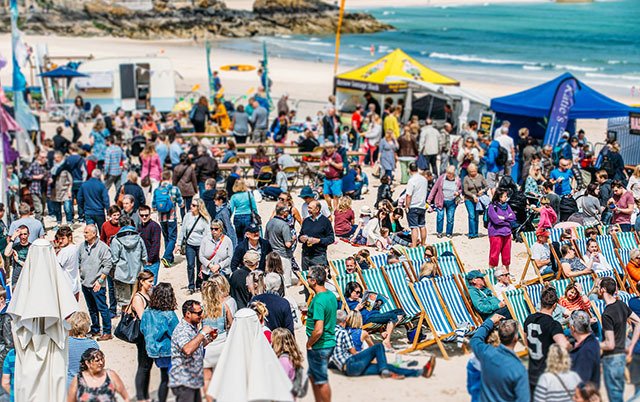 The seventh St Ives Food and Drink Festival takes place on 14 and 15 May on Porthminster Beach. This year’s chef line-up looks great, with Jack Stein, Gizzi Erskine and Sophie Michell getting together again following their legendary demos at Padstow Christmas Festival. Also visiting Cornwall are Elly Pear, The Fabulous Baker Brothers and Romy Gill. See website for the full line-up. Entry costs £2 for adults, free for under 12’s, open 10am to 6pm. Falmouth Street Food and Craft Ales Festival is part of the Fal River Festival, and will be held in Events Square over the bank holiday weekend of 28 to 30 May. The event is free, with undercover seating, live music, food and drink, so you can eat, drink, shop and dance all weekend. The arts, craft and local produce market is open 10am to 5pm each day, with food and beer staills open 11am to 11pm on the Saturday and Sunday, and 11am to 5pm on the Monday. Live entertainment will start at 12 noon daily. 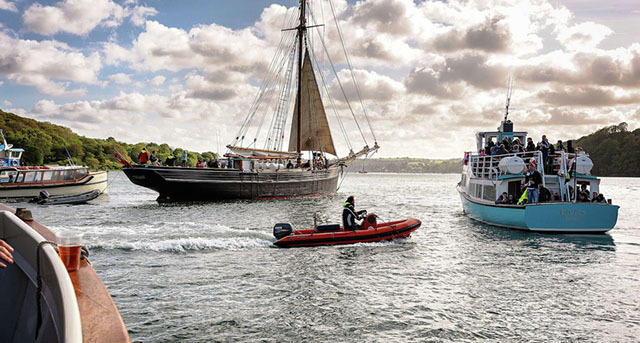 The seven day Fal River Festival includes a wide range of events, from music, drama and the arts, to swimming, rowing and walking. The festival runs from 30 May to 5 June, and has a full programme of activities and entertainment. For all food and drink events visit the website. Driftwood Spars’ ninth annual Sausage and Ale Festival takes place from 29 April to 2 May, and you will find full details on their Facebook page. 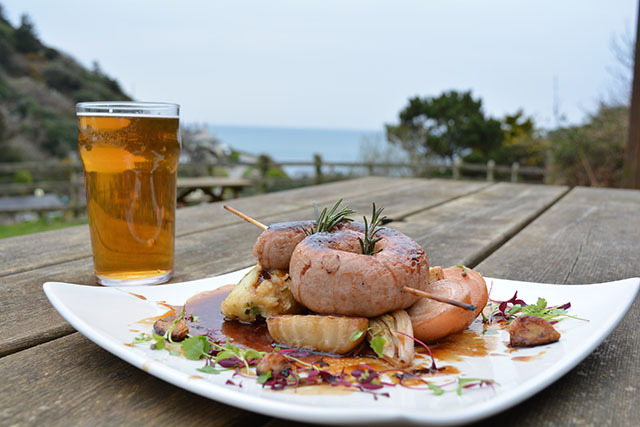 Expect around twenty guest ales and ciders, and a range of Cornish sausages, plus live music. Free entry. A Bite of Cornwall is holding a food and drink festival on 13 and 14 May on Lemon Quay in Truro. For full details of exhibitors, opening hours, etc., see their Facebook page. On Sunday 1 May this one day festival in Looe is a celebration of all things marine. Organised by Looe Marine Conservation Group and the RNLI, the focus will be on education about the marine environment. Scheduled events include an air/sea rescue helicopter display, fishing trips, a crabbing competition, cooking demos and seafood talks with the Cornwall Good Seafood Guide, and a Cornish Master Chef competition. For more information see the Cornwall Wildlife Trust’s website, or the event’s Facebook page. Fergus Henderson and Trevor Gulliver (St John) are descending upon Cornwall for a gastronomic weekend. On 8 May the pair will join forces with Nathan Outlaw’s team at The Mariners in Rock, where they will be serving up a St John style Sunday lunch for one service only. Priced at £20.50 for 2 courses, and £25.50 for 3 courses, and available from 12 noon to 4.30 pm on Sunday 8 May. Reservations for upstairs dining area only. No reservations for downstairs or outside, so just turn up and join the queue! On Monday 9 May Fergus and Trevor move over to Restaurant Nathan Outlaw in Port Isaac for a St John Fish Supper. 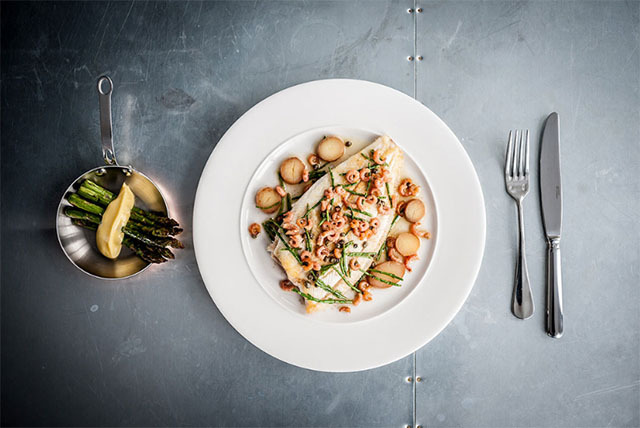 The six course menu looks amazing – including asparagus, fresh cod’s roe and bacon, baked brill, and a pear and sherry trifle – and is priced at £99 per person. For reservations call 01208 880896. Get those fingers ready…. Tickets go on sale at 12 noon on Sunday 1 May. 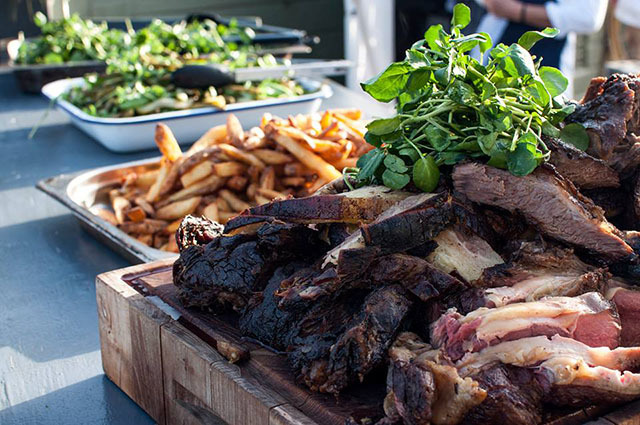 Saturday 7 May – Beef Asado (smoked and grilled beef, served with chips, pickled greens and chimichurri) – £18 per person. Wednesday 11 May – South Indian Thali (a vegetarian curry feast) – £14 per person. Friday 20 May – Porchetta (Old Spot pork rolled and roasted with rosemary, wild fennel and lemon, served with sautéed potatoes and asparagus) – £16 per person. At last our dreams have come true. Da Bara Bakery now has a café! Located at The Old Garage on Chenoweths Business Park in Ruanhighlanes, the gorgeous new café is open for breakfast (served until 11.30am) and lunch, coffee and cakes. Check out their Facebook page for daily menus, which feature mouthwateringly delicious sandwiches, soups and quiches. Think home-cured smoked pastrami with Sauerkraut and Emmental on grilled sourdough deli rye or r Indian spiced potato and spinach quiche with Cornish fenugreek Gouda. 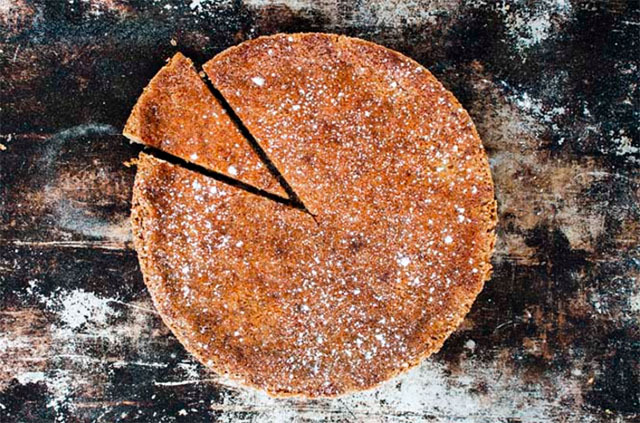 As well as Da Bara Bakery’s legendary bread, their cakes are also pretty awesome – we love their crack pie, pictured above. A great mid-season deal is Watergate Bay’s Taste of the Bay package: stay for three nights with dinner at The Beach Hut, Jamie Oliver’s Fifteen Cornwall and the hotel’s restaurant, Zacry’s. Prices start at £324 per person, based on two people sharing, for Sunday to Wednesday arrivals until 25 May (excluding 1 May) and then again from 5 to 15 June. For more information visit their website or phone 01637 860543. 5 May: “A Middle Eastern Feast” at Espressini in Falmouth. £25 per person for a selection of sharing plates. BYO wine. 20 May: “Canapés and Conversations” at The Greenbank Hotel. £20 per person, including a glass of fizz upon arrival. For more information about the events, and club membership, visit thesamphireclub.co.uk. Join Pete from the Padstow Shellfish Company and the gang at binTwo in Padstow for a shellfish extravaganza on 13 May. 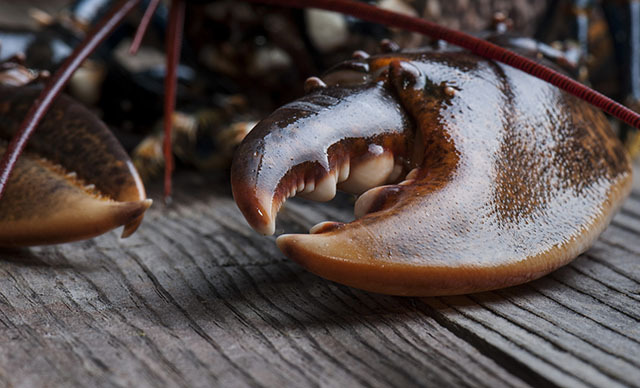 Expect classic food and wine pairings such as Muscadet with crab and Burgundy with lobster. Numbers are strictly limited to 20 people, £25 per person; email [email protected] to reserve your place. Participants follow a way-marked course, stopping at pubs, cafés, shops and restaurants to sample a variety of locally produced appetisers. By the time they reach the finish, runners will have enjoyed over a dozen different bitesize tasters ranging from puddings and pies to wines and liqueurs. 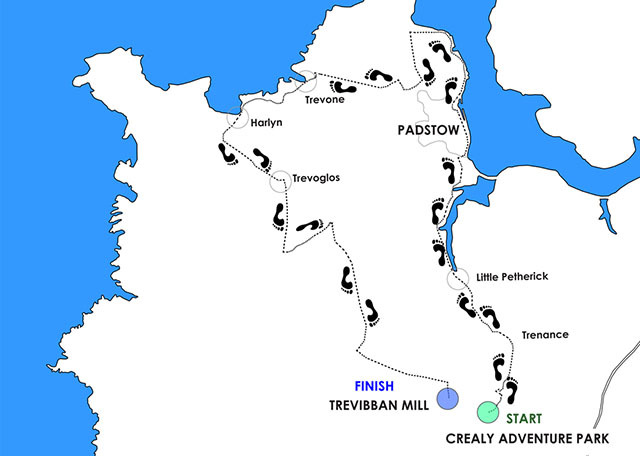 Pitstops include Old Mill House Bistro in Little Petherick, Padstow Kitchen Garden, Padstow Brewing Co., Padstow Farm Shop and Trevibban Mill. £35 per person, entries close Sunday 8 May, for the event which takes place on Saturday 21 May. 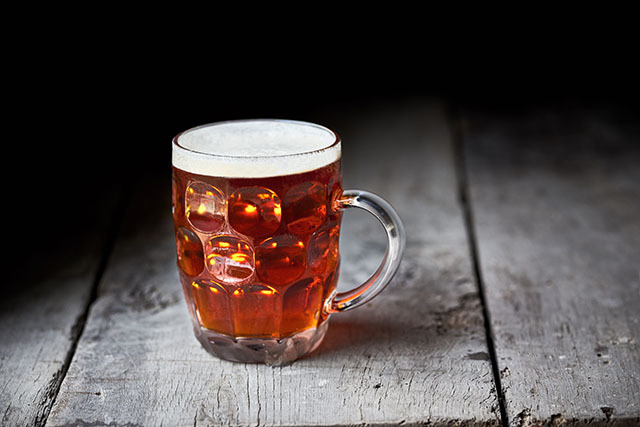 Entry fee includes a minimum of twelve food/drink tasters on the 10 mile route, and fifteen tasters on the 15 mile route, an engraved finisher’s half pint glass, and £7.50 from each entry fee will be donated to CHICKS charity. For full details visit deliciouskernowtrail.co.uk. 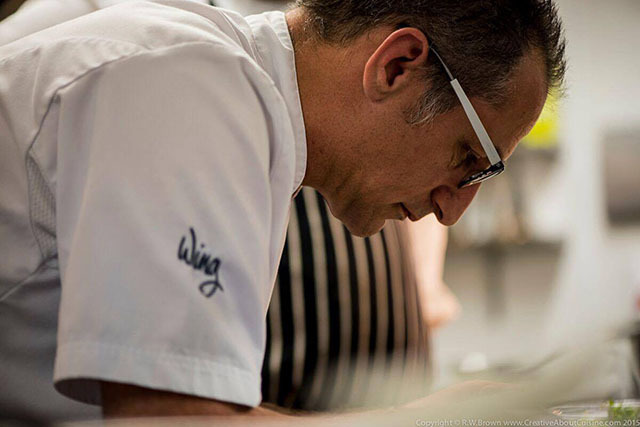 Stephen Marsh is the latest chef to join Bystro, a new restaurant group which now has two restaurants, “Bystro at the Bank” in St Austell, and “Bystro at the Lamb and Flag” which recently opened in Redruth. Both restaurants are open daily from breakfast through to supper, with comedy nights and regular live music in St Austell. To make a reservation phone 01726 247365, send an email or book online. This event isn’t until June, but you should put the date in your diary now. 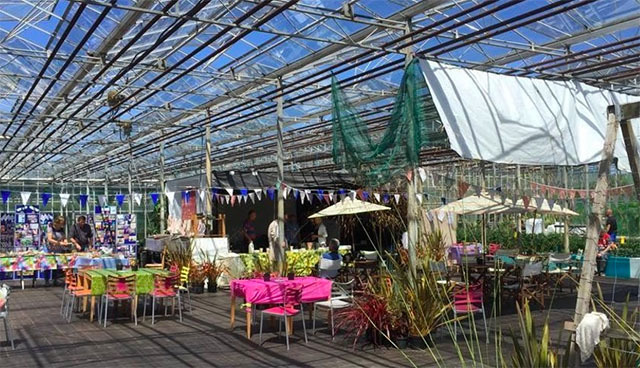 Potluck are holding a Big Lunch at People and Gardens’ HQ, Watering Lane Nursery near Pentewan, on Sunday 12 June. Entry is free but please RSVP. I love The Wheelhouse in Falmouth, and the Social Dining Network is lucky enough to have booked the whole restaurant for their event on 29 April. At the time of writing, there are just three seats left. You can be sure of a seafood feast – mussels, crab, prawns and scallops, with plenty of bread, chips and salads – for £30 per person. Full details here. The organisation’s next event is on 29 May at The Princess Pavilion. Following a cookery demo you will then cook your own meal on hot stones – scallops, prawns and steak. Plus starter, vegetables, salads, sauces and dessert. £35 per person. On Saturday 30 April Pentillie Castle is holding an Eat the Seasons feast. Much of the produce will be from the estate, and the menu looks delicious. Following a drink and canapés, the menu features spring favourites: scallops, lamb, and rhubarb. For full details visit their website. £39.50 per person, for bookings phone 01579 350044 or email [email protected]. The next “Eat the Seasons” event will be held on Saturday 21 May. 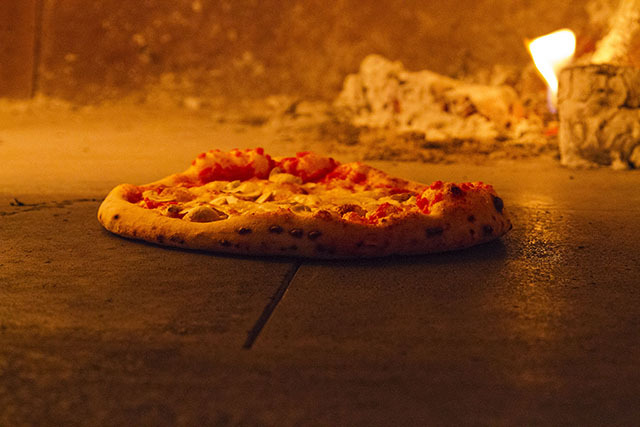 Mama J’s is an Italian restaurant in Looe, which specialises in big Italian flavours and wood-fired pizzas topped with fresh, local Cornish produce and authentic imported Italian ingredients. To celebrate the restaurant’s first birthday, it has launched a huge competition, where the winner will be rewarded with free pizza for the rest of their life. I’ve read the small print, and it really is true. All you have to do is fill in the entry form when you’re in the restaurant or go to their website. The closing date is 24 September 2016. 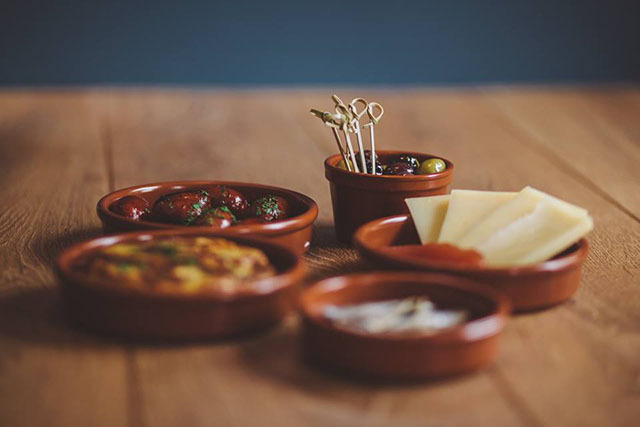 The Terrace Restaurant at Gwel an Mor is hosting regular pop up tapas nights, where up to seven dishes (from a special menu released on the day) are priced at £10 per person. Keep an eye on their website or Facebook page for more details, and email or phone 01209 842132 to book your table when the date is announced. The new set lunch menu at Fifteen Cornwall is priced at £26 for two courses, £32 for three, and £40 for four courses. 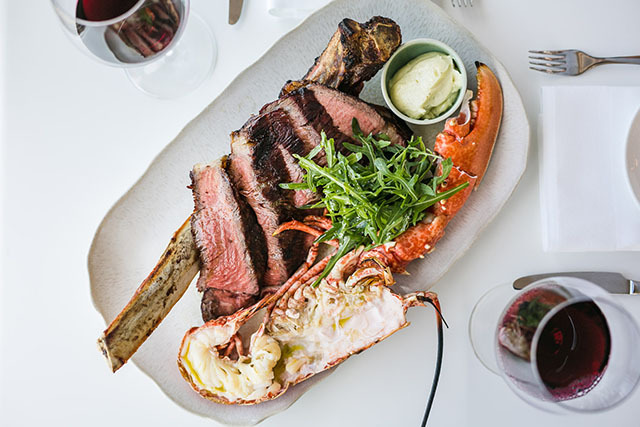 Also featured on the menu are new “chef’s choices” and sharing dishes, such as surf ‘n’ turf (pictured above), a chargrilled T-bone steak and half a lobster. The restaurant has a new spring cocktail menu, including a “Trevethan Martini” made from Trevethan Cornish gin, Cinzano, sprigs of thyme and lemongrass. Rick Stein’s latest offering is the Fish and Fizz Rick Stein Experience. 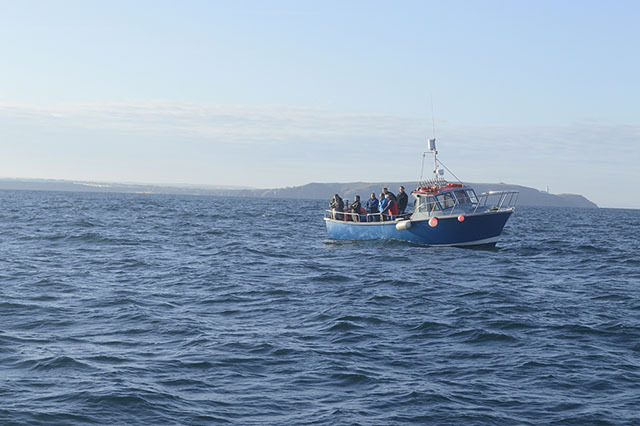 Guests spend their first day out at sea with local fisherman Lee Wicks, before returning to the Seafood School to cook their catch. The second day is spent at Camel Valley Vineyard, with a tour and tasting at their vineyards. £360 per person, 1 and 2 June. 6 May, Little Laplin performs an acoustic set for the Fistral Sessions at Rick Stein Fistral. Set lunches at St Petroc’s Bistro, £15 for two courses, every day from 12 noon to 2.30pm. Food Lovers Break includes a three course dinner at The Seafood Restaurant plus bed and breakfast in Padstow, available Sunday to Friday, from £325 for two people. Set menu at Rick Stein, Porthleven, with views across the harbour, £17.50 for two courses, £21.50 for three, available 12 noon to 3pm, and 5-6pm. Rick Stein will be heading to Stein’s Deli in Padstow on 30 May for a book signing betweeen 11am and 12 noon. Rick will also be hosting An Evening with Rick Stein at 7pm on 30 May in the Seafood School. He will be demonstrating three of his favourite dishes whilst those in the audience enjoy a glass or two of wine. £85 per person. The Cornish Smokehouse in Grampound is launching new Curing and Smoking Masterclasses. The practical one day course will teach you how to produce fantastic tasting smoked food at home, and is suited to enthusiasts and beginners alike. The course covers the basic theory of food smoking, construction of a smoker, and varieties of wood to use. Other topics include: brining and salting, curing times, practical food hygiene, safety, fish filleting, salmon slicing, and more. Students will smoke various foods including fillets and whole fish, meats and cheeses. The course runs from 10am to 4pm and includes lunch at the Rebel Brewing Co. (handy next door neighbour) where you can have a quick tour and sample ales, IPAs and lagers in their taproom. At the end of the day students will leave (smelling slightly of woodsmoke) with a Smoking Man bag, their own ProQ home smoker, a selection of woods, a book of information and recipes from the course, and a Smoking Man apron. 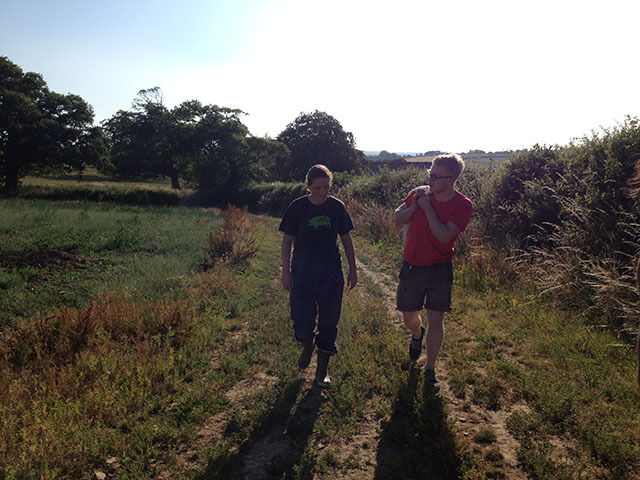 So far dates available are 14 May and 23 June, and the course is £150 per person. For full details visit www.thecornishsmokehouse.com. 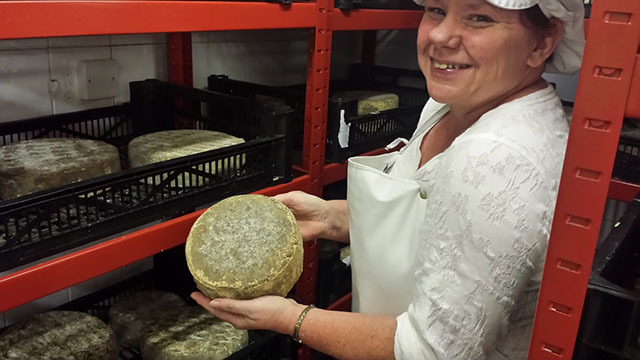 On 27 April Philleigh Way will hold its first Cheesemaking course with Susan Collier (pictured above) of Colliers Cornish Cheese. Through a series of demonstrations and hands on sessions, students will learn how to make hard and soft cheeses, which they can take home at the end of the day. £135 per person including lunch and wine. Other courses this month include Dinner Party Cookery on 11 May and Argentinian Asado on 14 May, and the popular Woodfired Sessions kick off again with a beef feast on 13 May and fish on 20 May (£30 per person). We love Inkie’s BBQ food and are excited to see that they will be holding two feast nights at their new permanent venue at Golitha Falls. 1 May sees the first event, Smoking Bones, with half a free range apple-smoked chicken and a full rack of maple-smoked meaty St Louis cut ribs, served with a choice of sides, £25. On 28 May join them for a Cowboy Dinner, with 18 hour maple-smoked pulled pork and 22 hour cherry-smoked Black Angus brisket, served with a choice of sides, £16. And don’t miss their new Moomaid of Zennor ice cream stand. DARE TO DINE IN THE DARK? A group of Creative Events Management students from Falmouth University have created an event called Dare to dine in the dark? There are two sessions, starting at 6pm on 11 May at The Brig. Ticket price is £25 including five courses and a mocktail. For more details visit their blog or Facebook page and buy tickets online. Congratulations to Polurrian Bay Hotel, which has been awarded an AA Rosette for Culinary Excellence. And more congratulations to Camel Valley Vineyard, who have taken the Gold Award in the prestigious 2016 Sommelier Wine Awards for their 2013 Camel Valley ‘Cornwall’ Brut. The North Coast Summer Wine Festival in Bude takes place over the weekend of 27 to 29 May. Fifty carefully selected wines are available at £1 for a taster or £2 for a glass. See Facebook for more details. Join the Wild Food Walk at Godolphin at 10am on Saturday 21 May, and find out which plants can be used in recipes with a local expert. Recently opened in Fowey is Pintxo (which means a small bar snack in Basque). By all accounts their tapas is super tasty, and their wine list is pretty good too. Check out their Facebook page for up to date menus, opening hours, etc..
Nancarrow Farm‘s May feast will take place on Wednesday 11 May, and a few lucky guests will be able to stay for bed and breakfast too. Sign up to receive their newsletter for more details. Potluck Cornwall’s next event is a Chat and Eat Afternoon Tea Evening at The Waymarker near Constantine from 6.30pm on Thursday 12 May. Travellers in the Great Western Railway Pullman dining car can now enjoy a glass of Cornish fizz – Knightor Brut Classic Cuvée – on their journey between London and the South West. Ben Tunnicliffe’s Sennen Cove restaurant will be holding weekly barbecues from spring, and plans more events over the summer, including an Oyster Day in August, and seasonal food and wine dinners. Keep an eye on his website for more details. Congratulations to Origin Coffee‘s Dan Fellows who was crowned UK Barista Champion in April, with a hat trick of ‘best espresso’, ‘best milk drink’ and ‘best signature drink’. Tom Milby has joined award-winning gastropub The Old School Bar and Kitchen in Mount Hawke as head chef. Tom previously worked at The Pandora Inn and Gylly Beach Café. I’ve heard good reports about Squid Ink in Looe which has got new owners. The monthly tasting menu at Rosewarne Manor will be held on Friday 27 May. Phil Thomas’ cooking is superb, and we highly recommend the seven course meal, £45 per person. 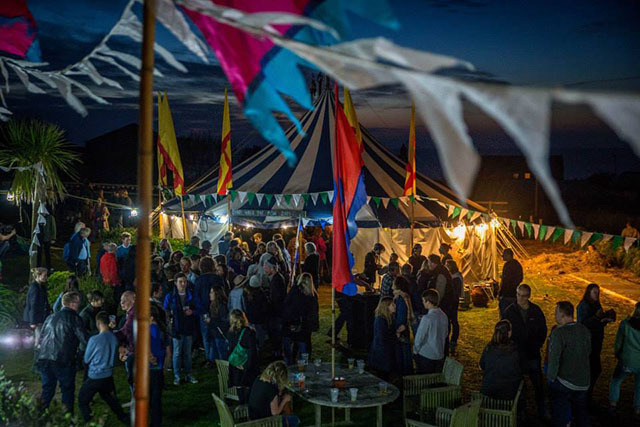 Lusty Glaze’s next Secret Supper Club will be held on 26 May. Check out our review of their January event. Congratulations to Padstow Brewing Co. – “Padstow May Day” has won gold at the SIBA South West Tuckers Maltings Festival. Little Kitchen Magicians will be holding a children’s cookery class on 14 May at Heartlands, suitable for 2 to 11 year olds. The theme is “exploring food from other countries”. We love to hear from you. Please email your news for the June Foodie Diary by 20 May.